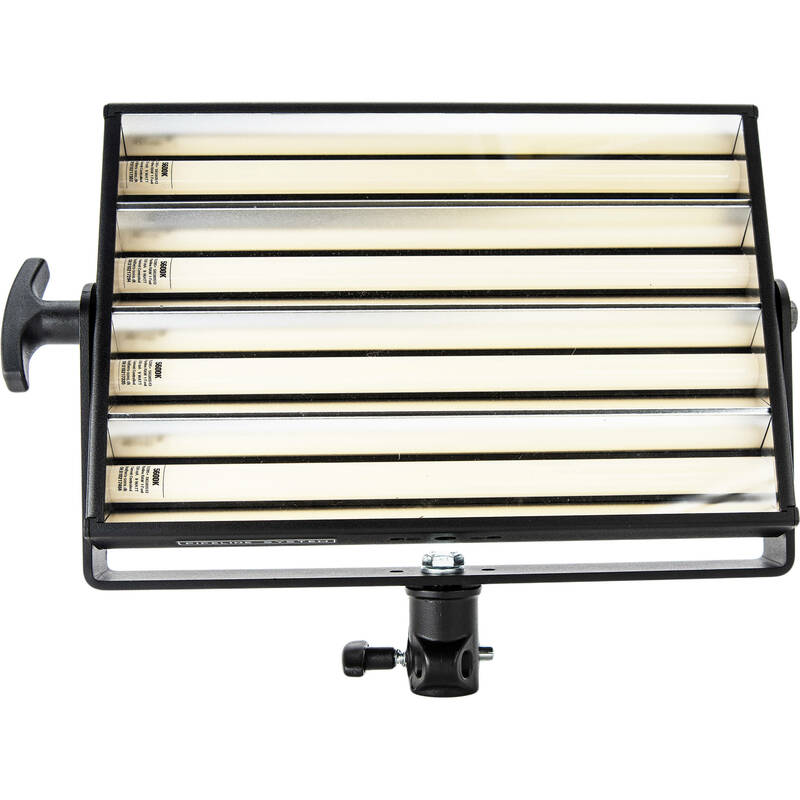 Designed for small studios, remote broadcast, and EFP, the 4300K Pipeline Remote Phosphor 1' LED 4-Bank from BBS Lighting packs four 1' Pipeline LEDs within a sturdy small-factor reflecting enclosure. Remote phosphor technology enables the 1' LED 4-Bank to yield soft and color-accurate light with a TLCI rating of 98+. 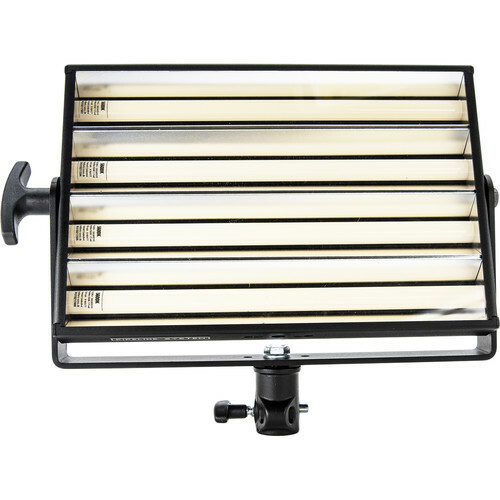 With a brightness of 4000 lumens and a wrap-around coverage of 180°, this bank's light output is great for modelling faces and illuminating backgrounds. The bank's 3-pin XLR connector allows for plug-and-play functionality with the 4-Way Controller (available separately). The controller can power up to four 1' LED 4-Banks, allowing for full-range smooth dimming, either on-board or via DMX, with no color shift or flickering. Compact and lightweight, the Pipeline 1' LED 4-Bank can be mounted flush against a wall or ceiling, or suspended using the included yoke or optional hardware accessories. A honeycomb is also included.